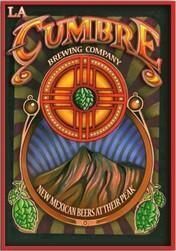 Wisconsin Beer Geek: La Cumbre Brewing Co.
Another of the great breweries in Albuquerque,NM is the La Cumbre Brewing Company, off I-25 at 3313 Girard Boulevard NE. La Cumbre, started by Jeff Erway and his wife Laura, opened their doors in January of 2011. Since 2011, La Cumbre has produced many award winning beers but they are probably best well known for their Elevated IPA, a beer that took the gold at the 2011 Great American Beer Festival. But that’s not their only beer to medal at the GABF, the Mapais Stout took home a silver. Two beers with medals in the first year, now that’s an impressive feat and is obviously the sign of a brew master who knows what he is doing. Jeff definitely does and was an award winning brew master prior to starting his own brewery. After he turned 21, Jeff discovered that all beer was not the pale fizzy stuff his friends drank in college. From there his foray into the world of craft beer expanded. After he discovered craft beer, Jeff and his wife Laura made it a point to visit as many breweries as possible. On one trip he found a homebrew store, picked up John Palmer’s excellent book How to Brew and quickly got hooked on brewing. Three years later in 2007, after winning many homebrew competitions, Ted Rice, then headbrewer at Chama River Brewing Company suggested that Jeff earn the Master Brewer Degree from the American Brewers Guild. After earning his brewing degree from the American Brewers Guild, Jeff was hired as a brewer at Chama River where he continued his award winning brewing, racking up 2 silvers at the World Beer Cup as well as 2 Bronzes and a Gold at the Great American Beer Festival. His extremely successful brewing at Chama River came to an end in 2010 when he left to start his own brewery, La Cumbre. Hopefully Jeff will continue to be as successful with La Cumbre as he has been so far. Although, if you are coming here what you are interested in are the beer reviews, so on to the reviews. I had the full sampler of 9 of Jeff’s beers: Miles from Cologne (Kolsch), South Peak Pilsner, Jefe’s Hefe (hefeweizen), Blanch de Burque (Wit), No, You’re a Dort! (Dortmunder Export), Pale 32 (Pale Ale), Pyramid Rock Pale Ale, Elevated IPA, and the Malpais Stout. Miles from Cologne does not have enough ratings on either Beeradvocate or ratebeer to have a score yet. 5269 miles to be exact. But with this Kolsch-style ale served in its traditional stange glass, who needs to fly all that way? We started with 2 Pilsner malts, wheat malt, 3 varieties of German hops and a yeast strain sourced from Cologne, we did our best to make a beer that is as true to its roots as possible. And, as this is served in a 7 oz. glass, there is a limit of 12...yes 12 glasses of this golden delicious elixir. If you're done drinking it, just put a coaster over your glass. Again, as in Cologne, once your half way, we will be placing another in front of you until you let us know you're done. Miles from Cologne is pale straw in color with a nice white head that has good retention when agitated. It has a very mild malt and German noble hop aroma. The flavor is mildly malty and smooth with a slight amount of bitterness. It finishes crisp and clean like a good Kolsch should. It is light bodied, but not watery with a moderate level of carbonation. This is an excellent beer! South Peak Pilsner does not have enough reviews for a score on Beeradvocate. On ratebeer it has an 84 overall and a 97 for style. Are you craving something a little more rustic? Our pilsner will get you there. Loads of Czech saaz hops, the finest quality Continental pilsner malt, and uber-traditional production methods are the hallmarks of this glorious lager. South Peak Pilsner is straw in color, with a nice white head with moderate retention when agitated. It has a nice pilsner malt character that provides an excellent backdrop for the spicy saaz hops. It is on the bitter end of the spectrum for a pils, at least based on perception, but it still makes for an excellent beer that vanishes slightly spicy. It is light to medium bodied, with a moderate level of carbonation and is very drinkable. Jefe's Hefe does not have enough reviews for a score on Beeradvocate. On ratebeer it has a 71 overall and a 92 for style. Jefe’s Hefe (great name by the way) is hazy gold, almost the color of apple cider, with a very thick white head that held excellent retention when agitated. Fruity banana notes dominate the aroma, with a slight bit of wheat in the background. The flavor is full of wheat, banana, clove and vanilla. It is medium to full-bodied with a moderate to high level of carbonation. This is an excellently brewed Hefeweizen! I am surprised it hasn’t won more awards. 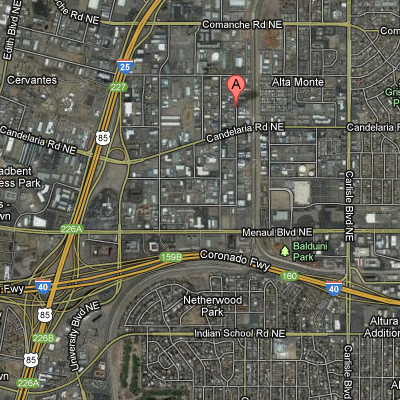 Blance de Burque does not have enough ratings on either Beeradvocate or ratebeer to have a score yet. Ahh, Belgian wits. I have tried my share. More often than not, they are either way past their prime (from Belgium and shipped over sea) or they are ridiculously far from what is actually found in Belgium (What the big guys call Belgian wit/white/wheat). My first time sitting at Mort Subite, in Brussels, was an epiphany. I have been trying to match that drinking experience ever since. Perfumey, with a balance of citrus, bubblegum, light clove and herbs, this traditional Belgian-style Wit is as close as you’ll come to Leuven without a passport. Though light in color, the body is milkshake-like from the judicious use of unmalted wheat and oats. The finish is liquid-silk; absolutely no apparent bitterness to speak of. Feel free to bring in your own fruit if you must. I was never served the style with an orange in Belgium, so I make no offering here. There is plenty of citrus flavor in this anyhow, especially served this fresh. The Blanch de Burque is a hazy light straw color with a very nice creamy white head when agitated. It has a very strong wheaty, bready aroma with notes of lemon and coriander and just a hint of clove in the finish. The flavor is very wheaty and bready with hints of lemon and coriander. It is exceptionally smooth and drinkable. It is light to medium bodied with a moderate to high-level of carbonation and would be an excellent beer to enjoy on a hot summer’s day, of which I am sure they have a lot of in Albuquerque. This is an excellent beer! No, You're a Dort does not have enough ratings on either Beeradvocate or ratebeer to have a score yet. Our first (and my first as well) Dortmunder Export. Just slightly darker than a pilsner or a helles, this is the fullest bodied of the German-style pale lagers and also the strongest. Full-bodied with a minerally dryness and a very balanced hop character, this beer strikes a nice chord for the true lager drinker. Finding examples of this style has gotten harder and harder. No, You’re a Dort! is straw in color and only produces a thin white head when agitated. The aroma is lightly grainy with a hint of spicy hops in the background. Flavor wise, it is well balanced with a low level of grainy sweetness and a low to moderate level of hoppy bitterness. It is exceptionally smooth and very nicely hopped with a crisp, dry finish. It is medium bodied with a moderate to high level of carbonation. I am not a fan of the style, probably because much of the imported Dortmunder Export has gone skunky on the trip over from Germany. However, I definitely enjoyed this beer and would happily drink it again. Pale 32 does not have enough ratings on either Beeradvocate or ratebeer to have a score yet. This is not a clone brew. I repeat, this is not a clone brew. What I was trying to do was pay hommage to one of America's truly great Pale Ales, and certainly one of my personal favorites. This med. bodied session pale ale is ripe with both American and European hops. Without any dry hop, you can get a very good idea of what those late kettle additions can do for a beer. This is about as drinkable as hoppy pale ale gets. Pale 32 is light amber in color with a nice white head when agitated. The aroma has caramel malt characteristics with a very nice slight, piney bitterness. The flavor matches the aroma, it is malty with a nice piney and almost resiny hop presence in the background. It is medium bodied with a moderate carbonation level, and a very nice American Pale Ale. Pyramid Rock does not have enough reviews for a score on Beeradvocate. On ratebeer it has an 81 overall and a 98 for style. Going back to our recipes developed in the shadow of this Western NM monolith, this is nothing like your standard American Pale Ale. No American hops to be found in this gem. Lots of earthy, spicy Kent Goldings and premium English Crystal malts make this beer unique in a sea of ubiquity. Pyramid Rock Pale Ale is amber in color with a slightly off-white head when agitated. It has a very malty, with earthy hops and mild fruity aromas (potentially from a British yeast strain). The flavor is toasty and bready with papaya/mango fruity notes. It is medium bodied and moderately carbonated. Pyramid Rock is very good and very interesting, definitely one of the best Pale Ales I have had. Did someone ask for hops? Tired of beers that promise a full lupulin experience, but never deliver more than richly malted bitterness? It’s no secret that this is what we excel at. We’ve been brewing world class IPAs for years. Our flagship is the culmination of a decades worth of studying and brewing. Take a step above and acclimate to what an IPA should be. Elevated is pale amber with a nice white head that holds good retention when agitated. It has a very nice piney and resiny and citrus hop aroma that is supported by a light sweet maltiness. The flavor is dominated by piney and resiny notes from the hops, with an excellent malt backbone and a pleasant citrus finish. It is medium bodied with a moderate level of carbonation. There are is more than enough malty sweetness in the background to support the full 100 IBUs in this excellently crafted and well-balanced beer. As good as all the beers on the menu are, this one is probably my favorite, although the Jefe’s Hefe is pretty close. Mal Pais Stout does not have enough reviews for a score on Beeradvocate. On ratebeer it has a 96 overall and an 89 for style. This is a meal in a glass. Brewed with 7 different malts, you should be ready for a full onslaught of creamy stout intensity. Broadly in the style of a Foreign Extra Stout, this is our heaviest and most intense year-round offering. Mal Pais Stout is opaque black/brown in color with a very nice brown head when agitated. The aroma is of roasted malts, and is vaguely reminiscent of roasted marshmallows. The flavor is very smooth, roasty, and creay with definitely coffee notes, although there is a slight bit of dark chocolate in the background. It is full-bodied with a moderate level of carbonation. This is an excellent stout that would make an excellent beer float with the addition of a scoop of vanilla frozen custard. Again, another excellent beer! Every beer that I had at La Cumbre was excellent! I never would have known before going to Albuquerque that the craft beer scene was alive and well in New Mexico. Check back later this week for the last brewery review on Nexus Brewery. I was also going to do one on Chama River, another excellent Albuquerque brewery, but I lost my notes for it on the flight back, Sorry Chama River.